O by Cirque du Soleil Las Vegas is one of the more unique shows playing anywhere in the world today. This 105-minute extravaganza is directed by none other than Franco Dragone who brings to life the intricacies of air, fire and water. The show takes guests to a world of aquatic surprises that only defies all aspects of gravity and logic. This event has been a hit in Las Vegas since it opened the doors in 1998 and continues to leave patrons awe struck performance after performance. O by Cirque du Soleil is performed within a 1.5 million gallon swimming pool/stage that invites whimsical attitudes from clowns, superior synchronization from swimmers and a plethora of unbelievable acrobatics from gymnasts. 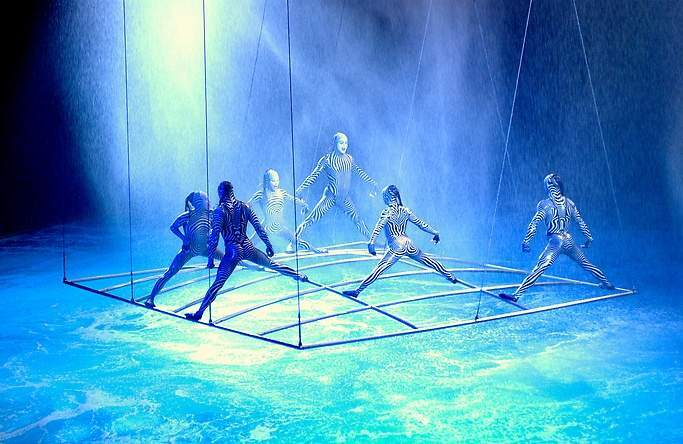 When the curtain is raised at the beginning of the show, the pool sparkles with the help of multimedia effects used by the choreographer and director. The pool is surrounded by a conventional stage that allows for the show to have more than just an aquatic theme and the entertainers make sure every inch of each stage is used during their performances. 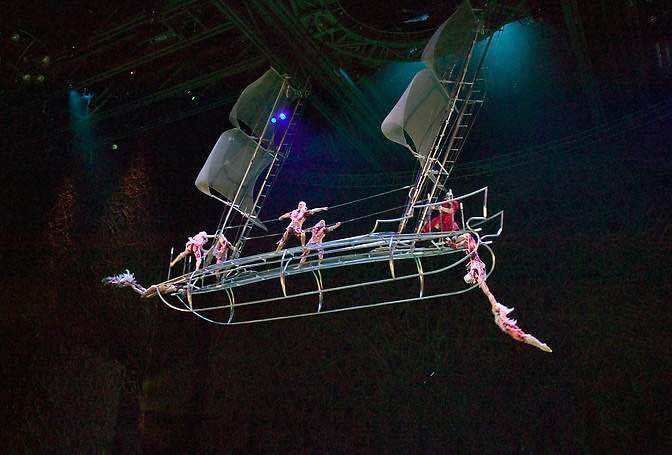 O by Cirque du Soleil relies heavily on the water theme with many portions of the show containing unbelievable achievements of agility, bravery and contortion while the artists are in the pool stage. There are performers like high divers that ascend a sixty foot ladder and with the precision of a well-oiled machine the three divers simultaneously jump into their appointed section of the pool below. The synchronized swimming is right on the mark with each flail of the legs and arms that is reminiscent of a quality ballet performance. Plenty of other entertainers perform wild trapeze stunts and other acrobatic feats on a rig stationed above the pool stage that allows these flying artists to dive into the water on a moment’s notice. The pageantry of O by Cirque du Soleil is astounding with numerous seamless set changes and the colorful costumes will delight the crowd. The multimedia effects help the show transport guests to such spectacular settings as an oasis in the desert. As the swimming pool stage is transformed to a more conventional performing area by a large floating barge. Stationed on the floating platform there are three contortionists who will amaze the audience with their ability to twist and turn their bodies into position to form a human pyramid. The fire segment of the show is fabulous with the entertainers juggling batons of fire before they complete breathe taking gymnastic maneuvers through rings of fire. The audience is awe struck as performers from the barge continue their tumbles to achieve flawless dives into the surrounding water. 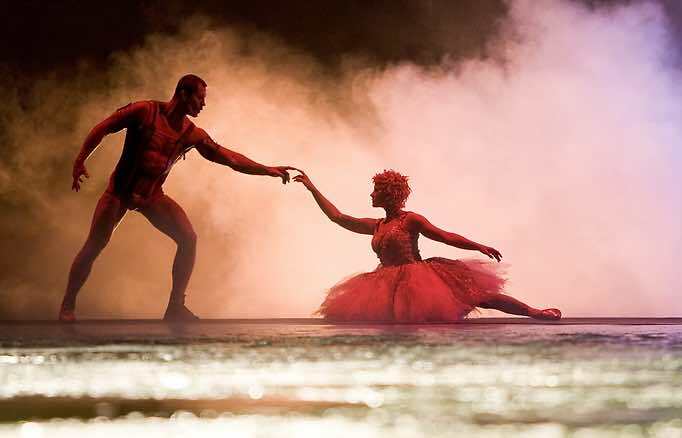 O by Cirque du Soleil does not really have a storyline and guests find that each performing act is a story within itself. During the daring feats of agility and strength the show might concentrate on a few characters that experience a different world than the performers. The two Clowns are funny and have a very intriguing appeal to their funny acts that may or may not include diving into the pool. Characters such as Le Vieux float across the stage while standing on an umbrella and La Travesti is a male dancer dressed like a drag queen in a low cut corset with high heels. Then there is Philemon who is portrayed as viewing the event as an audience member. Eugine is a metaphor for all things old becoming new and useful again. The Comets are essential as they fly through the air assisting other artists in their acrobatic and diving quests. Every part of this show is a storyline within itself allowing the audience to be mesmerized by the talented artists. The soundtrack is performed by a live band that is located on both sides of the pool stage. The musicians are talented and never miss a beat whether the note is high or low. The band is enclosed inside two glass cubes that shield the musicians and their instruments from the damp elements of the show. The O Theater located within Bellagio Hotel and Casino is spectacular and seeing this innovative pool/stage is worth the admission to the show. Patrons should be aware that there are certain seats within the theater that may have a portion of the view obstructed. Another cautionary note would be to understand that this is a water event and the first few rows are marked as wet for a good reason. There are also unique VIP packages that include a private suite with your choice of champagne or wine, truffles and private cocktail service. The suites overlook the pool stage and offer the most exquisite view of the entire performance. Guests can also choose a fantastic dinner package that includes the innovative and tasty cuisine at Harvest by Roy Ellamar. O by Cirque du Soleil is a tremendous experience for the visitors of Sin City to view. No other show in Las Vegas is similar in nature or acrobatic and aquatic achievements on stage. Everyone needs air, fire and water to survive in this world and O by Cirque du Soleil does justice to each of these elements. O by Cirque du Soleil is performed by over eighty artists that hail from as many as twenty-four different countries around the world. Each entertainer as well as the 150 stage technicians is a certified scuba diver. The event is directing by Franco Dragone who is a mainstay in creating superior entertainment in the form of Cirque du Soleil performances. Choreography is handled by Debra Brown with Benoit Jutras in charge of musical direction and composition. Set design is conducted by Michael Crete and Dominique Lemieux does a great job as the costume designer. Barry Farley has the job of being the aquatic director who oversees the numerous safety precautions that take place during the performance. Best seats for O by Cirque du Soleil Las Vegas show. The show can only be viewed at the Bellagio Hotel and Casino within the specialty constructed O Theater. No other theater in Las Vegas as a 1.5 million gallon swimming pool for the talented artists to perform their death defying dives and stunts. 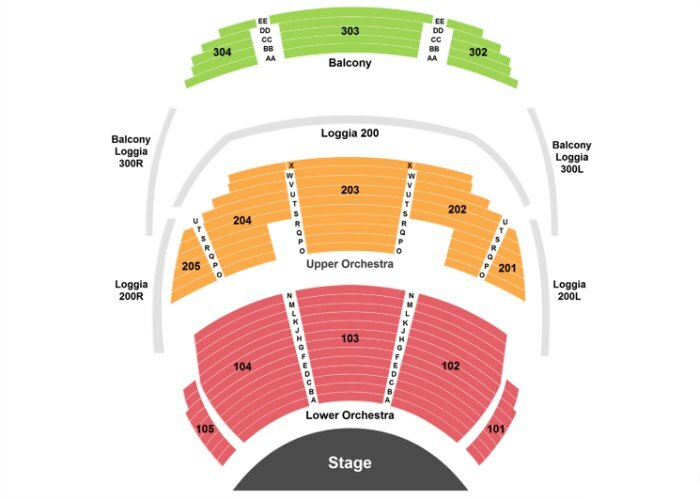 The seats range from best view seating, premium view, balcony & upper loggia seating, and limited view seating. The thing about O show is that the action takes place in several places at once. So in most of the seats, you can chose to either watch the synchronized swimming, or the acrobatics up in the air. Some people claim that the best seats for watching O by Cirque du Soleil are balcony & upper loggia seating - this way, you can watch both the swimming and acrobatics simultaneously. Also note that seats located in sections 101, 102, 103, 104, 105 are classified as "wet seats", as they are located close to the water. Sections 101 and 105 also have a limited view. O by Cirque du Soleil Las Vegas is open to guests five years of age or older. Performances run Wednesday through Sunday at 7:00 and 9:30 P.M. O by Tickets are on sale now and range in price from balcony seats to the ultimate Cirque du Soleil VIP suite experience.